What’s on your bucket list; skydiving, meeting a celebrity, or learning a new language? Northwest Vista Art Professor Carol Cunningham and her Design 1 students have been discussing simple design and how it can change and affect a community for the better. Inspired by New Orleans artist Candy Chang and her multi-community project. 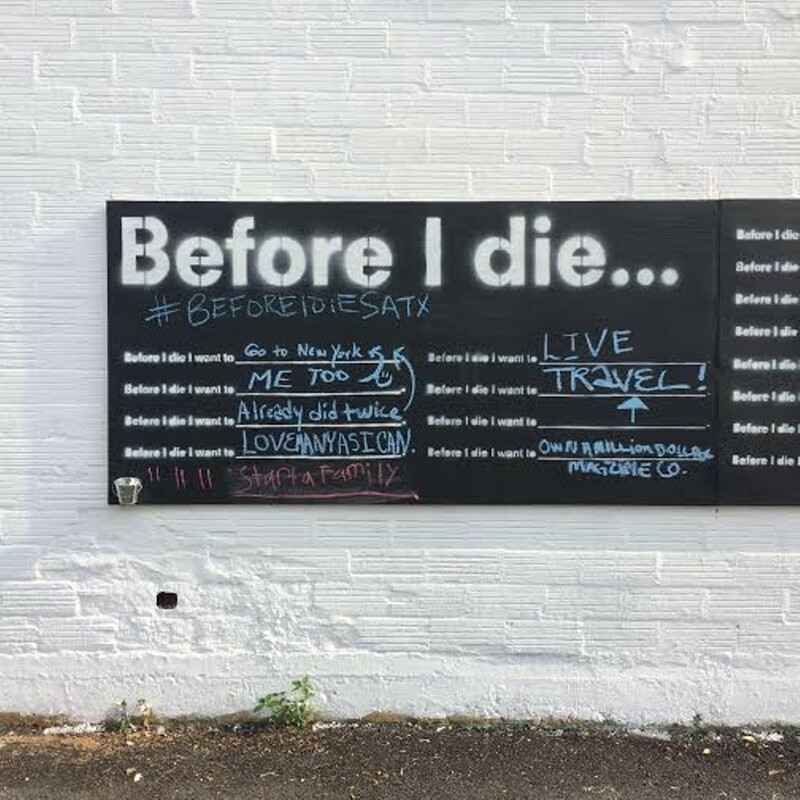 Cunningham in partner with Northwest Vista and The Junction Antique Store have collaborated to build a Chang Chang Before I Die wall just minutes from Downtown San Antonio. The wall will span 50 ft. in length and be a permanent fixture to the Beacon Hill neighborhood. 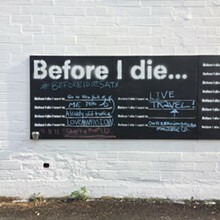 Candy Chang's Before I Die walls are a worldwide community collaboration with over 500 installment in more than 70 countries.